Why Hiking? — Dear Summit Supply Co.
Flip through any outdoorsy magazine, or browse your local outdoor gear shop, and you might find yourself overwhelmed with the endless options for how to get your nature fix. You could climb mountains, camp in the desert, tackle terror-inducing rapids in a kayak, or spend months living out of your backpack while trekking a long-distance monolith like the Pacific Crest Trail. Or, you can go hiking. Compared to the high-adrenaline, high-profile outdoor sports listed above - the sorts of adventures that end up on the cover of National Geographic - maybe hiking seems too simple. But that’s precisely why I love hiking. While I would love to try backpacking, rock climbing, packrafting, or any of the other endless ways to soak in the outdoors, I believe hiking is the best option for spending time outside. Hiking, of all of the possible outdoor pursuits, is the most accessible, adaptable, and affordable way to get out there and bask in the endless benefits that nature holds for you. First, I believe hiking is the most accessible of all outdoor pursuits. You don’t need to embark upon a week-long trip to a national park to find a good hiking trail (though I certainly do recommend you do so, when you can). Oftentimes, you can find good hiking options virtually just outside your door. 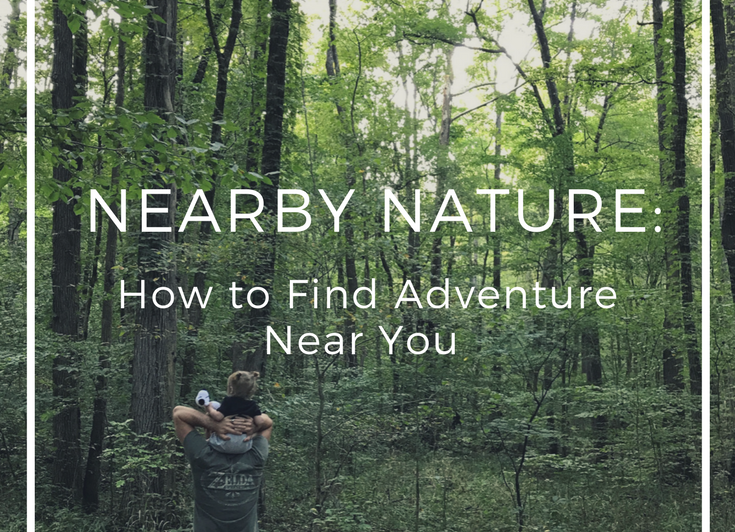 Your local park likely has at least a short nature trail, and your nearest conservation area or state park will certainly provide even more options. You can even head out on a walk around your neighborhood, for starters. Will that afford the most breathtaking views? Probably not, but it is a great place to begin, and an easy way to keep your mind and body in shape to be able to tackle the trails when you do get out to them. There is no minimum skill level, age limit, or other requirement for hiking. If you can walk, you can hike. Hiking is an activity with endless variability, so if a mile-long, flat, paved trail sounds like a daunting adventure, there’s a trail for that. And if you’re looking for a heart-pounding, adrenaline-filled challenge that takes all day and leaves your legs feeling like noodles when you finish, then there’s a trail for that, too. Hiking grows with you. The more you do it, the more you’ll be ready to tackle, and the more variable trails and terrains you’ll be equipped to explore. Don’t have hundreds of dollars to spend on all that gorgeous technical gear at REI? No fancy hiking boots, hydration system, or GPS? Hiking doesn’t require any expensive equipment or vast amounts of experience and training. Certainly, it would be ill-advised to plan a multi-mile hike wearing flip-flops, and carrying no water, snacks, map, or cell phone; of course, there are certain basics that you need for hiking (and a healthy sense of discernment is a great start). But you don’t need to spend big bucks to be able to enjoy a good hike. Chances are pretty good that you already own all the basic gear you need for hiking. Sturdy shoes - a pair of running shoes, or something similar, are usually great. Sunscreen and Insect Repellant - sunburn and bug bites are the quickest way to sour a great outdoor excursion, in my experience. You might not need to carry these with you, but definitely apply them before you hit the trail. Water - if you carry nothing else, carry water. You need it. It can save your life. It doesn’t matter if it’s not hot out, or if you’re only going a half mile, you always need water. Snacks - whether its granola bars, trail mix, an apple, or a whole picnic lunch, you need something to eat. Hiking burns a lot of energy, and its important to be able to replenish it. Whatever’s your go-to snack, please remember to follow Leave No Trace principles. Map + Compass - sure, you probably have GPS on your phone, but you never know when you might lose the signal, or the battery might die (or you could drop it). Carry a map and a compass, and learn how to use it (a quick search on YouTube will get you started). First Aid - a small kit with the basics will do. You never know when you’ll trip and get a cut, or you might be able to help out a fellow hiker in need. I love hiking. My favorite designs for the Dear Summit shop are all about hiking, such as this shirt and this sticker, and I truly believe that it is the best way to head outside and enjoy the endless benefits of spending time in nature. Hiking is a wonderful way to head out into the wild, and it will grow with you. Maybe once you’ve worked your way up to longer and longer treks, on tougher and tougher trails, you’ll be ready to branch out into other things. Maybe you’re dying to try backpacking the John Muir Trail (I sure am! ), or you want to combine hiking with running and try trail running. Maybe you’re tired of walking past cliffs and rock formations, and ready to start climbing them instead. Wherever your adventurous heart leads you, hiking can take you there. Enjoy this post? Want more? Join my Outsiders email list and get a free copy of my “Tips and Prompts for Journaling your Hikes” - it’s the best way to keep up with new blog posts, and get the best deals on new gear in the Dear Summit Shop!